Long-distance moving, whether it’s to another county within the same state or to another state across the country, can be quite a challenge. Getting the right services to help you plan and execute the perfect move is essential to the success of your new start in a new place, and JD Carton & Son can help you achieve your moving goals with premium-quality relocation services at very affordable prices. J.D. Carton & Son has been a leader among NJ long distance movers since 1953. Our expert team of moving professionals go above and beyond to customize relocation projects to suit the needs, preferences, and budget of each of our customers, which is why we’ve earned a name for ourselves as one of the best moving companies in the New Jersey area. To understand why our company stands out as one of the leading long-distance movers New Jersey has ever seen, take a look at some of the services we provide to help homeowners make long-distance moving a breeze. Your big move requires big plans, and JD Carton & Son can help you achieve your goals with a smooth and seamless move to anywhere you need to go. Here are some of the services that we offer as part of a typical long-distance move. Free Stretch-Wrapping of Furniture: One of the biggest tasks of a move is having to move your large furniture and making sure it does not get damaged. Our team of professionals stretch-wrap your furniture free of charge to ensure your possessions are not damaged during the moving process. Doorway, Carpet, Railing Protection: When moving, it’s not just your belongings that can be damaged, it’s your home too. Furniture can scratch up doorways and flooring when trying to maneuver it out of your house. Before we start your move, our team protects any doorway, flooring, and railings to prevent any damage when moving. Online Shipment Tracking:A feature that sets us apart from other long distance movers NJ, is the ability to track your shipment online. This allows you to stay up to date on where your items are and when you can expect your shipment, so you can plan accordingly. Packing Materials Sales: We offer a wide variety of packing materials for sale if you would like to do some of the work yourself. We understand the need for customers to pack their personal items and we are here to provide you with the correct shipping materials to help you get the job done. Full-Service Packing: Our professional trained packers can pack your belongings securely and efficiently to save you time and money. Our team goes through rigorous training on how to properly care for your belongings to provide world class customer service. Fragile-Only Packing: Everyone has fragile items that need extra care when packing. However, you may not always know how to pack these items or have the right materials. Our team can professionally pack your fragile items to ensure a safe journey to your new location. Custom Crating: J.D. Carton also offers custom crating services to move your more extensive items that normally would not be shipped in a standard moving box. These items can range from pianos, custom art pieces, stovetops, and any other items that you may need a custom crate for. Unpacking/Uncrating/Debris Removal: Let us take care of the hassle of unpacking and disposing of packing materials for you so that you can focus on adjusting to your new life in another place. At JD Carton & Son, we offer optional unpacking, uncrating, and debris removal services to help you finish off your move with ease. Short-Term and Long-Term Storage: If you are moving from a larger home to a smaller home, or simply did not find space for some of your items, we offer storage solutions to suit your needs. You can choose from both short-term and long-term storage options to keep your valuables safe and sound. As one of the top-rated NJ long-distance movers, J.D. Carton provides only the highest quality customer service and personalized moving options designed to create a custom relocation experience. 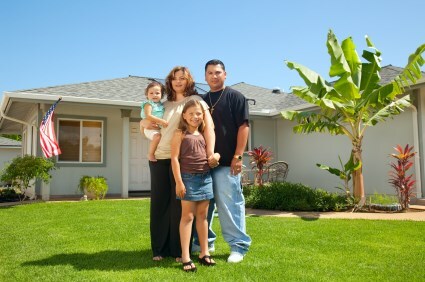 To accomplish this, we offer free, no-obligation, in-home moving quotes, and consultations. Our professionals will visit with you at your home to discuss your needs and the services you want, to develop a custom moving plan to fit your schedule and budget. If you’re interested in hiring our team of long-distance movers NJ to help you organize a successful, seamless moving experience, we’re looking forward to speaking with you. Get started with a free, in-home, personalized quote by filling out our online form, or call one of our friendly representatives to talk about your long-distance moving project today.